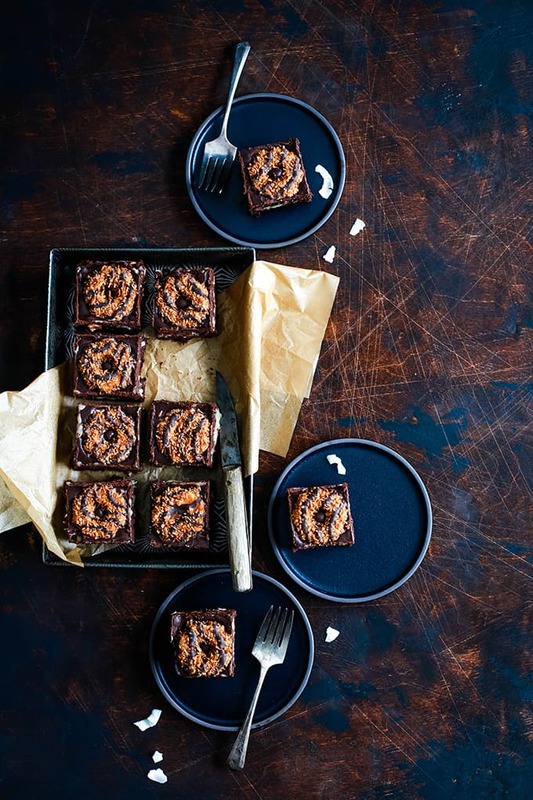 This decadent Samoa Brownies recipe has it all! 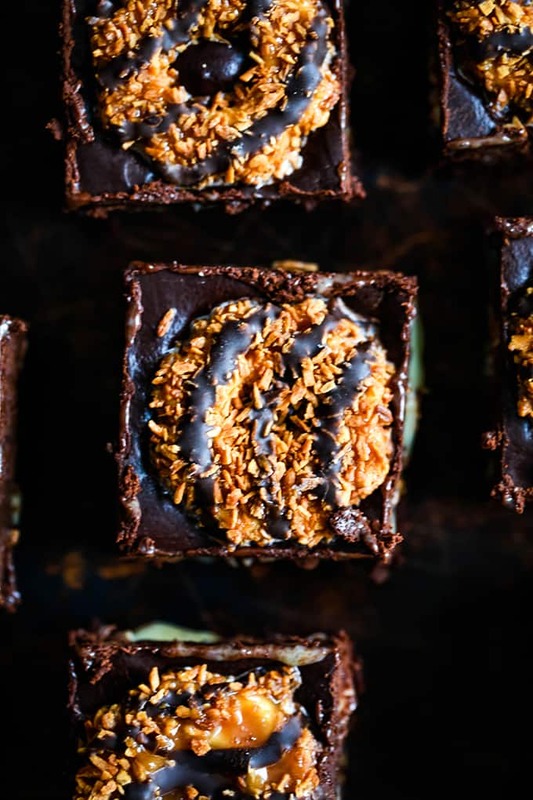 Fudgy brownie, two layers of Samoa Girl Scout cookies, dulce de leche, coconut and chocolate ganache. 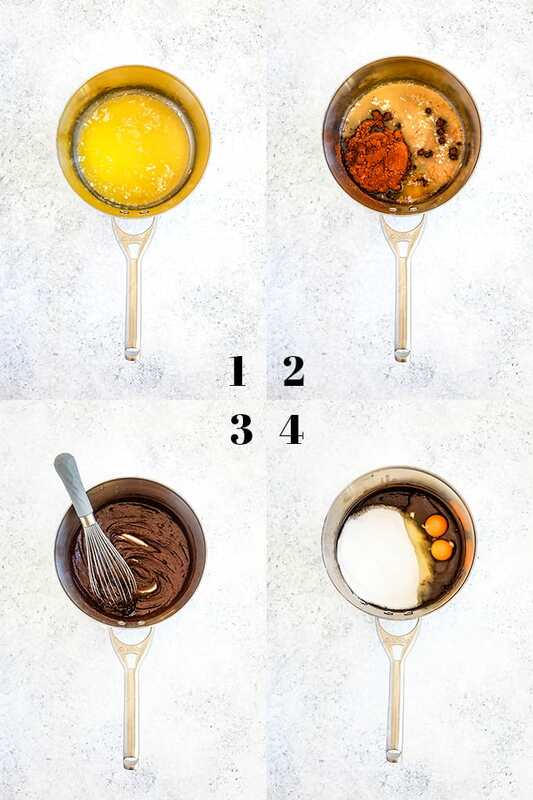 Brownies. Made with Girl Scout cookies. 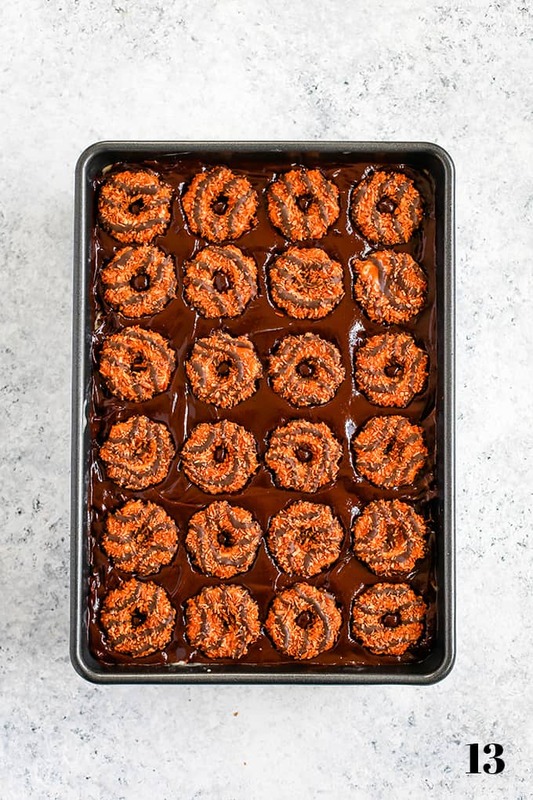 You know these Samoa Brownies are going to be good. And then I went and added layers and layers of extra decadence because, really, why not? In short, these brownies will make all others pale in comparison. Which Girl Scout cookie is your favorite? At our house, it’s the Samoa by a landslide. So much so that I have a Girl Scout’s mother acting as my dealer and we made an exchange last week where she left me four more boxes outside of her front door in her milk cooler and I drove by and left my money and took the cookies. It sounds like a bad thing, but how can it be when the cookies are oh so good? What Are Samoa Girl Scout Cookies? 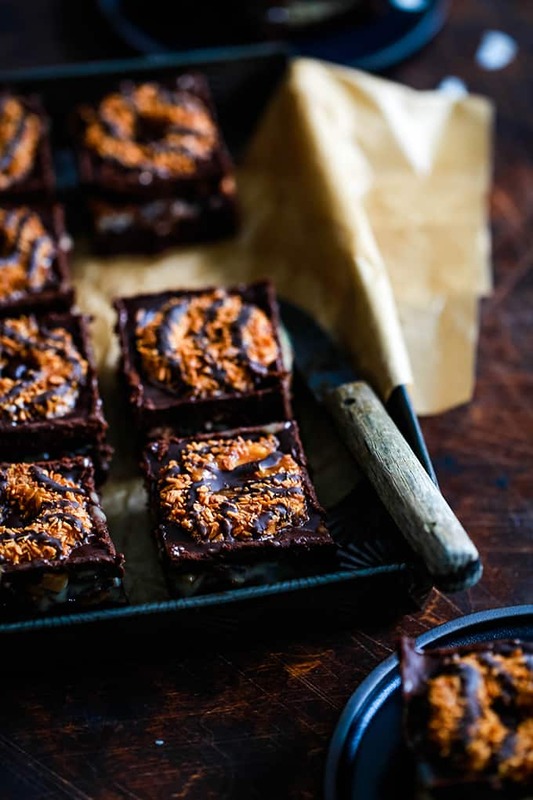 Besides being a bite of pure heaven, a Girl Scout Samoa cookie is a vanilla cookie coated in caramel, sprinkled with toasted coconut and laced with chocolatey stripes. Depending on what bakery they come from – the Girl Scouts have two different bakeries they use – they are also known as Caramel deLites. 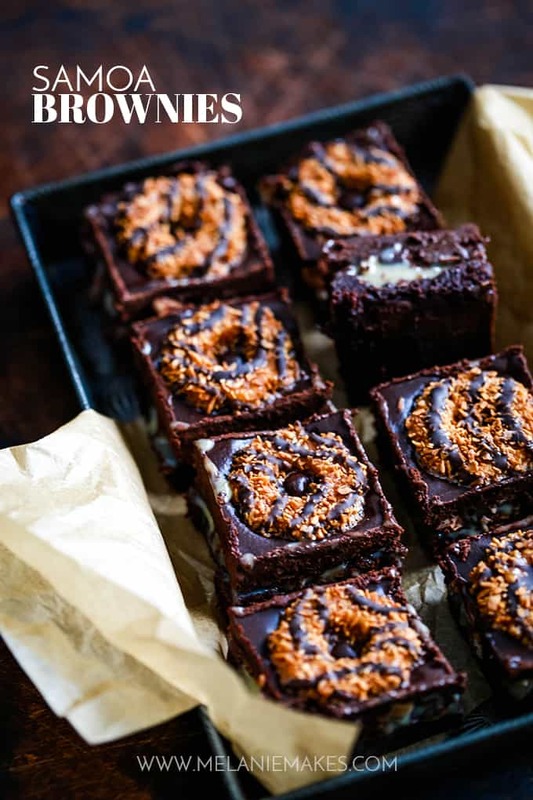 Without a doubt, I present to you the world’s most delicious Samoa Brownies recipe. 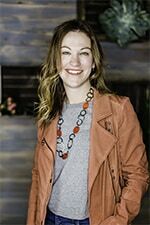 Let’s talk about all of the outrageous layers, shall we? The bottom layer is my One Bowl Fudge Brownies. Thick, fudgy and my most favorite brownie on the planet. You don’t ever need a boxed mix in your pantry when you’ve got this recipe at the ready. Then comes a layer of 24 Samoa Girl Scout cookies. 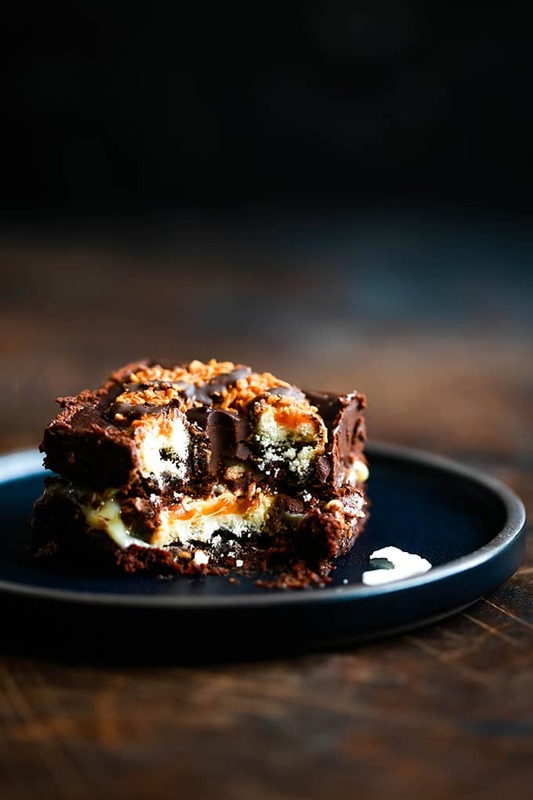 The Samoa stuffed brownies get baked before the rest of the deliciousness gets piled on top. After they emerge from the oven, you’ll need to let them cool for a few minutes before pouring my homemade dulce de leche over the top. Sure, I could’ve used caramel, but when you know How to Make Dulce de Leche from Sweetened Condensed Milk, you learn quickly to use it every chance you get. The dulce de leche is then sprinkled with coconut and then topped with a layer of my Microwave Chocolate Ganache before being topped with another layer of 24 Samoa cookies. That’s right. 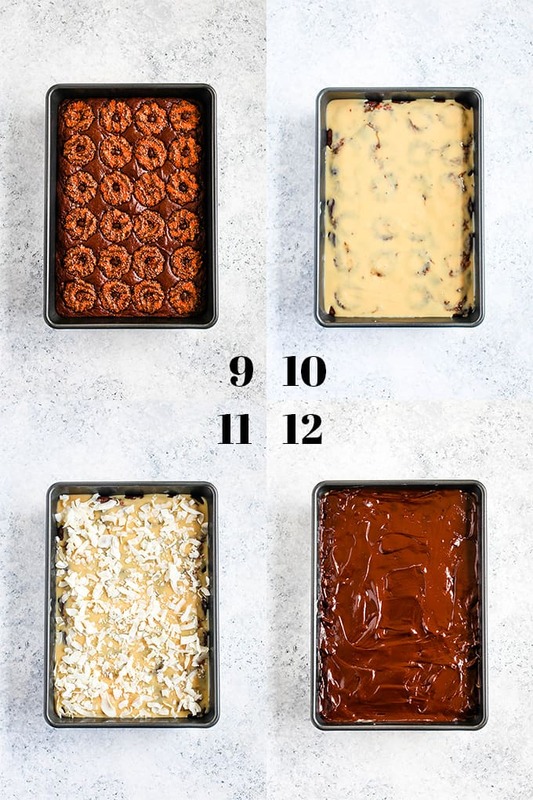 Each and every one of these brownies contains TWO cookies – one on the top and one stuffed inside. TIP: You’ll want to stir only until there are no dry ingredients visible. Place Samoas onto batter evenly into four rows and six columns. 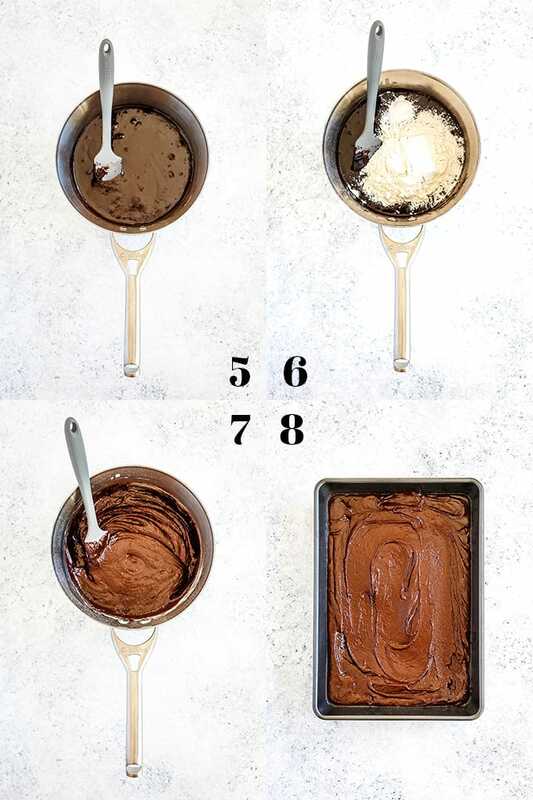 Allow brownies to cool for five minutes before covering with prepared dulce de leche. TIP: The dulce de leche layer is thin and you’ll want to spread it carefully over the baked cookies. Sprinkle coconut in an even layer over dulce de leche. Cover coconut layer carefully with an even layer of chocolate ganache. Allow ganache to cool for five minutes before topping with an additional layer of Samoa cookies, placed into four rows and six columns. 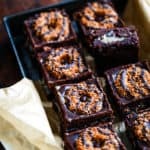 If you’ve tried these Samoa Brownies or any other recipe on Melanie Makes, please let me know your thoughts in the comments below. I love hearing from you and respond to each and every comment! Stir in baking soda, salt and flour until just combined. Place Samoa cookies onto batter evenly into four rows and six columns. Fellow Samoa cookie lovers, I’ve found a few other recipes to help you get your fix! You won’t wan to miss this this No Bake Samoa Cheesecake, delicious Samoa Fudge or this Sinful Samoa Cake. A great way to satisfy my girl scout cookie craving year around. Oh wow these are a DREAM! Need to try them ASAP! All my favorite flavors in one tasty brownie! So good! Thanks for sharing! This recipe looks incredible, literally need this in my life! Samoa brownies are my family’s favorite. These look amazing…can’t wait to try them.! Samoas are my favorite cookie! I can't wait to make a batch of these beauties!!! I have no doubt you'd love these then, Stephanie! These are the BEST brownies ever!!! My favorite cookie and brownies....my kind of dessert!! You'll love these for sure, Jennifer! 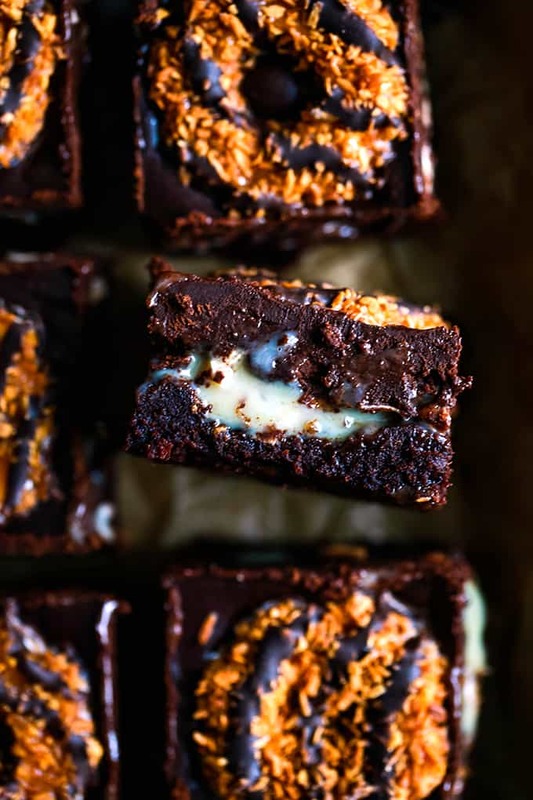 *drooling* These just might be the most amazing brownies ever! I agree, Jamie - they've been an absolute hit with everyone that has tried them! Oh wow these look killer! I'm on a diet right now but I think I just gained weight by looking at the pictures. Haha! They're definitely what brownie dreams are made of, Holly!